Number 11 Pullins Green in Thornbury sits overlooking the ‘Green’ facing south. It has had an interesting history being used as a cooperage, a police station and a private house. 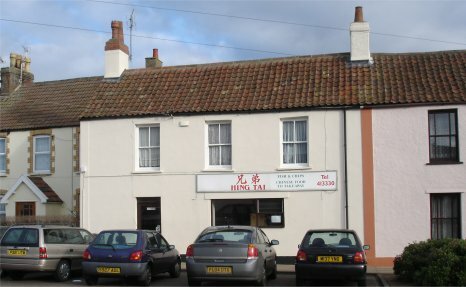 Since about 1890 it has been a shop, initially selling fish and fresh fruit, then as a sweet shop, and more recently as a fish and chip shop and ‘Chinese take-away’. The house continued to be owned by Thomas Crossman who let it out to tenants. When Thomas died in 1873, his son, George Danvers Crossman sold the property to Henry William John Carter and George Mansell Williams, two accountants who had decided to go into the property business as partners. This partnership was broken up in 1883 with George Mansell Williams becoming sole owner of 11 Pullins Green.